Lady Bunny Blog: BOO ON BIBI! Puke! Here's your only choice for president, Democrats. And oddly, something like 80% of dems support her, yet they also dislike the war she represents. She also voted for the Iraq war as senator which was/is the biggest foreign policy blunder ever. The chaos we brought to Iraq for no reason enabled ISIS to form in Iraq. And the quote was actually from 2008. Both parties represent war. 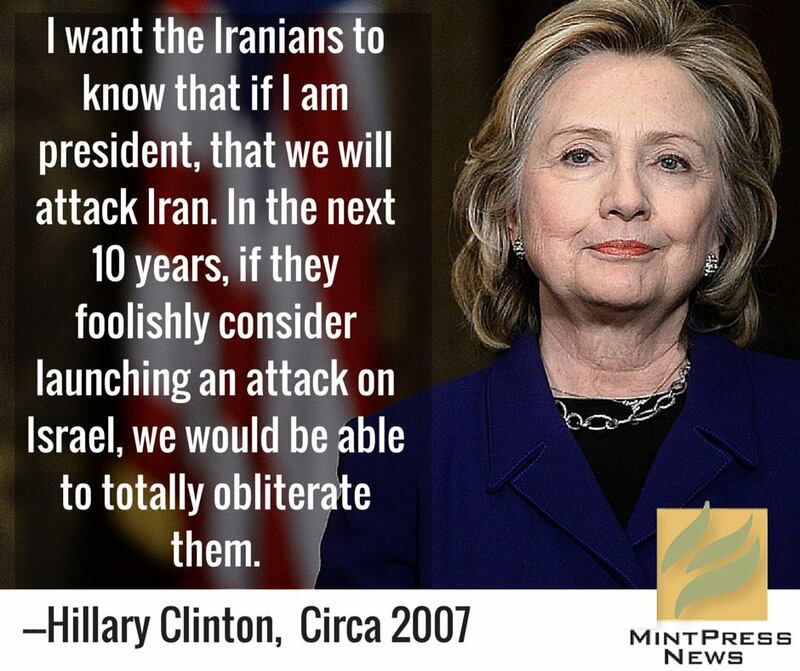 And while Hillary didn't sing "Bomb, bomb, bomb, bomb, bomb Iran" like McCain, she said it. You don't get peace by voting for war-mongers!